The LIFX Mini White E26 light bulb provides you with an affordable entry into smart lighting. The integrated Wi-Fi ensures a seamless connection with the most important smart home platforms and devices. The LIFX Mini White allows for adjustable brightness control and fits all standard E26 sockets. Get visual answers from the Google Home Hub. The voice-activated assistant contains a 7’’ touchscreen display, allowing it to respond to your questions with visual aids. Furthermore, you can control the rest of your smart home all from one dashboard. Get started with smart lighting with the included LIFX Mini White E26 Light Bulb. The newest version of the Google Home Hub contains a 7’’ touchscreen display so you can get visual answers. By using your voice, not only can you ask for the weather, traffic, or news summary, you can actually see all of this on the display. The touchscreen also makes it the perfect Smart Home hub because you can control all of your smart devices from one screen. The versatility of the Google Home Hub and the included LIFX bulb make this purchase worth it. Just say ‘Hey Google’: When you use a voice command, Google Assistant can do things like give directions, make a shopping list and tell you the weather. The Google Home hub will also recognize your voice, so you can get a custom greeting and update each morning. Visual answers: The touchscreen display allows to get assistance visually. Need to see how to cut a mango? Use your voice to instantly watch a helpful video. Superior sound: Enrich your home’s sound with the Google Home Hub. The hub contains a 2’’ driver and double 2’’ passive radiators which provides crystal clear sound. Play music directly from your Spotify, Pandora, or TuneIn. Your smart home base station: The Google Home Hub can be the base for all of your home’s smart devices. Its compatible with 100s of smart home brands giving you a range of options for adding to your smart home. Get started with the LIFX Mini White and get your home lit right. More control Get an overview of your Google Home Hub with the Google Home app. It will show you all the smart possibilities while allowing you to continuously integrate new devices. The Google Home Hub gives you an immersive experience into the world of voice assistants. With a 7’’ LCD touchscreen you can get visual answers to help you understand more quickly. The Google Home Hub is also compatible with 100s of smart home brands. This bundle includes a LIFX Mini White Bulb, so you can begin to expand your homes smart lighting. Google Home Hub’s touchscreen opens a whole new door of possibilities. Wake up in the morning to a personalized routine. With Google’s Voice Match, just say “Hey Google, good morning” to get your calendar, reminders and commute for the day. When you come home and get ready to make dinner ask Google for a recipe and have it easily displayed for you to follow along. At the end of night your Google Home Hub can be used to control your homes smart devices. Get started right away with the included LIFX Mini White bulb. It easily integrates with your Google Home Hub so you can set the perfect ambiance using Google Assistant. Listen, stream, and watch. The Google Home Hub allows you to listen to music from a variety of music platforms and stream your favorite shows from Netflix, Youtube and HBO. Whatever your mood, you can be sure that the Google Home Hub will be there with the right entertainment. Installation is simple with just a few steps. Plug the device in and follow the instructions on the screen. 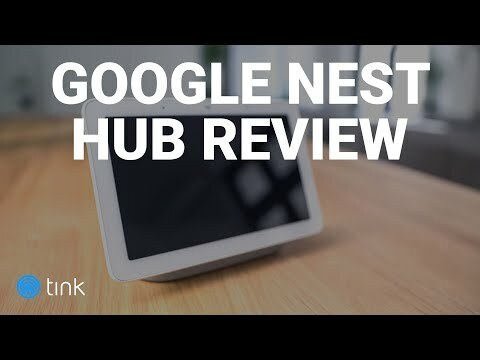 Google Home Hub can operate on 2.4 and 5 GHz bands with Bluetooth 5.0 connectivity available. A voice-activated assistant with a touchscreen display give you more options and features from Google. Your voice will be heard even when the music is playing, so you are in control at all times. The Home Hub’s touchscreen display looks fantastic and provides a clear crystal clear picture. Google is committed to keeping your home life private - the Home Hub only listen to what's going on when the wake word "Hey Google" has been spoken. The 7’’ touchscreen display makes the latest Google Home Hub worth the purchase. Can I use the Google Home Hub to make calls? Yes, the Google Home Hub can be used to make calls (excluding premium numbers and emergency numbers). What colors options does the Google Home Hub have? You can pick from sand, aqua, chalk, and charcoal.